A virgin, keto cocktail for sunbathing, afternoon keto barbecues or late night bonfires. 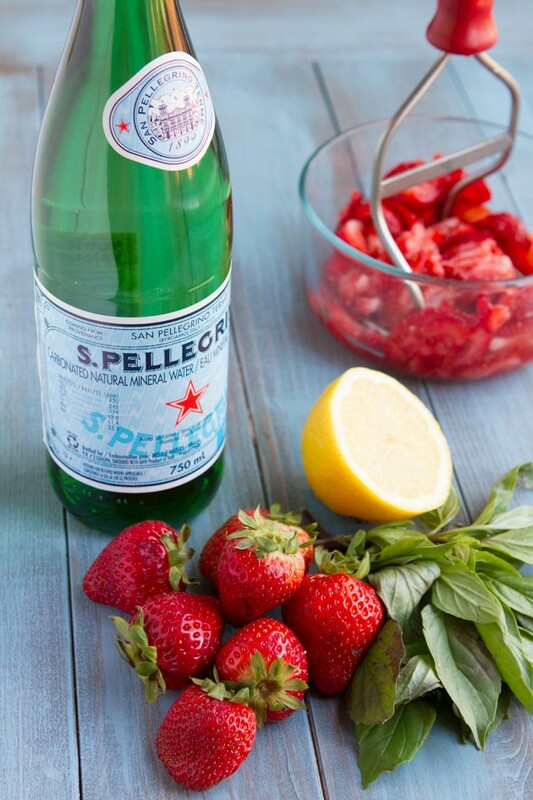 Crushed fresh strawberries with fresh lemon juice, basil leaves and mineral water. My cousin, sister and I met in the city last week for a keto dinner and; because of the smoldering heat, we decided that keto (virgin) cocktails were definitely in order. I was excited to try theirs, mixing and matching like we usually do, but we each chose the same one! I don’t blame us, really. 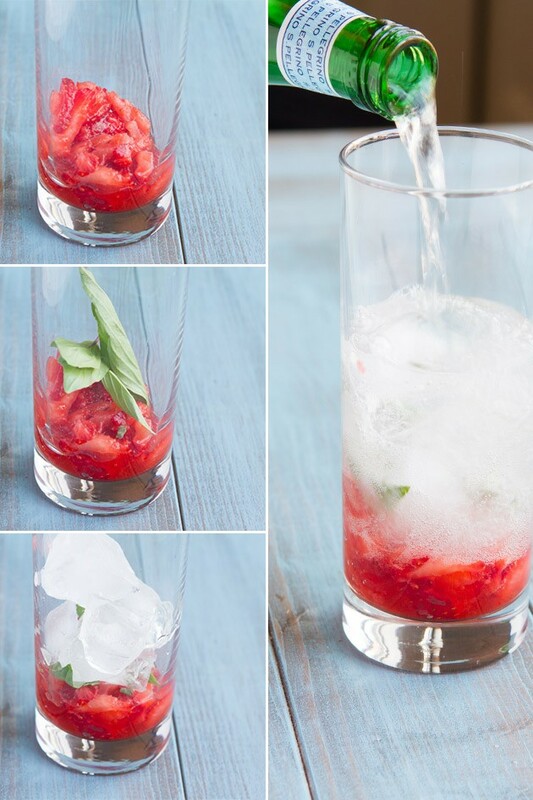 Who can say no to a combination of strawberries, lemonade and basil? Not we three! The keto drink was so good that I decided to share it with you today, with a couple of tweaks to transform this summer-infused, alcohol-free keto cocktail into a sugar-free drink that everybody can enjoy. There aren’t too many keto cocktails out there, actually. You could use a sweetener here if you like, but I chose to go completely sugar-free (and sweetener-free), and keto. 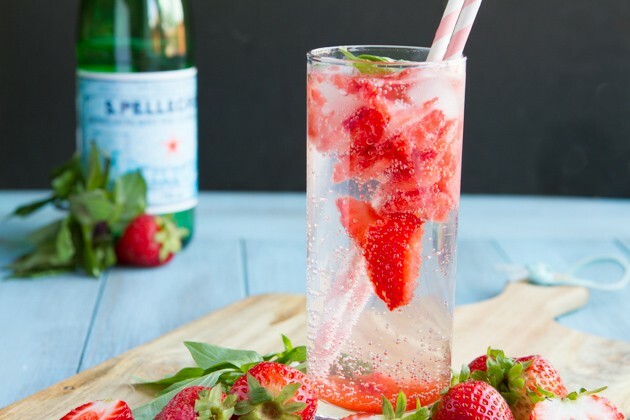 The strawberries do a fine job of adding flavor. And, if you soak the basil leaves in the mineral water for a couple of hours before serving, you’ll be ace. 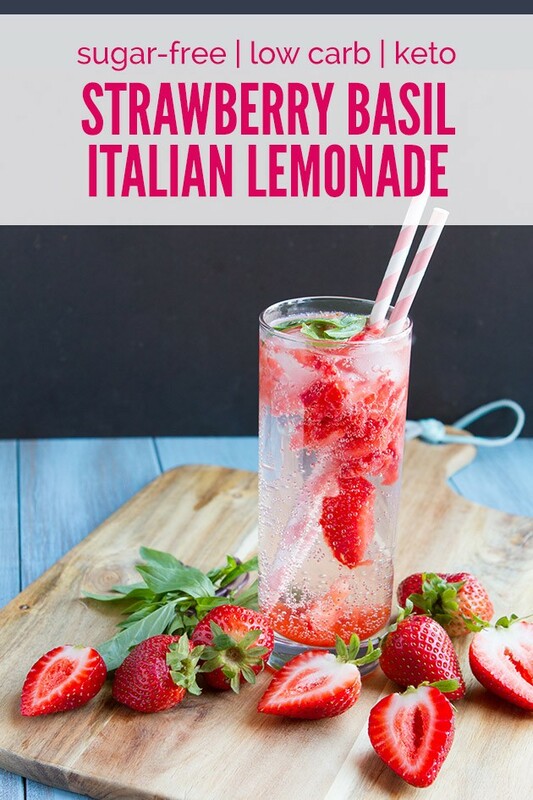 It’s like a strawberry Italian soda without the sugar and 100% pure keto goodness. Natural Italian soda at its finest, if you ask me. And video transcriptions! Before you go making keto cocktails and soaking up the sun, I wanted to tell you that as of this week, the keto videos on the blog have been transcribed. All transcriptions are located at the bottom of the corresponding keto blog post for all past and future keto videos. View all of the newly transcribed videos. A virgin, keto cocktail for sunbathing, afternoon barbecues or late night bonfires. Crushed fresh strawberries with fresh lemon juice, basil leaves and mineral water. Place strawberries in a large bowl and crush with a potato masher. You don’t need to go to town on them, just enough to break them up so that they can fit through a straw. Add lemon juice, stir and set aside. If you’ve decided to sweeten it up, add the stevia at this step. Place 24 basil leaves into the mineral water and allow to soak for 6-8 hours. If you’re skipping this step, that’s fine. You’ll need half the basil leaves. When ready to assemble, add 2 spoonfuls of strawberry puree to the bottom of 8 glasses. Add 2 fresh basil leaves (not the ones that were used to soak), and a couple of ice cubes. 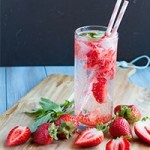 Pour mineral water over top and serve with pink paper straws. If you’re in a pinch, everything can be assembled right on the fly. However, I like to soak the basil leaves in the mineral water to make the flavor punch!